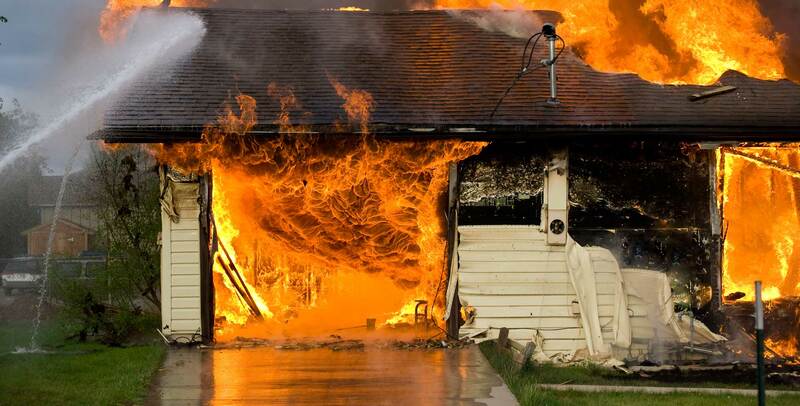 Dealing with a home fire is a devastating experience. If your home was spared total destruction, you will still deal with the aftermath of the cleanup process. You will have to figure out how you can salvage your home. Things like figuring out how to clean it and figuring out what you can keep and what you must throw out. You will need to be very careful about what you do to ensure your safety. Getting rid of the smoke smell will be imperative. You might think that the smoke damage will be easy to clean up. However, it is not as simple as just cleaning the walls and floors with soap and water. You will have to know exactly where the damage is. Instead of doing it yourself where you could cause even more damage to your home, you will want to consider hiring a smoke damage restoration company. A smoke restoration company can help to determine what type of smoke damaged your home, evaluate the condition of items in your home, and determine what cleaning methods will work the best. There are several different kinds of smoke, and those will each require different cleaning methods. Smoke can easily go between walls and flooring which will cause hidden odors as well as potential damage. A smoke restoration specialist will also be able to get inside your home to determine whether any structural damage was caused by the fire. • Dry smoke. Dry smoke is caused by a fast burning fire that is extremely hot. The residue from this fire will be small and have a powdery look to it. • Wet smoke. This is the smoke that is caused by smoldering fires. This will leave a very horrible odor as well as a sticky residue. • Fuel oil soot. This type of smoke damage is extremely hard to clean as it is oily and dark. • Protein. Residue from this is invisible and will discolor paint. This particular residue will smell bad. This will also need to be cleaned thoroughly and may take some time to get rid of. Once the professional has determined what kind of smoke has been in your home, they will be able to begin this difficult process. They will go through it with you and make sure that you are informed. They will find out the full extent of the damage, what can be salvaged, what will need to be replaced, and the best way to prevent any contamination in the areas that were not damaged. Once your restoration professional has answered all these questions, he or she can start to formulate a plan. This process may take some time, but with the right professional service, your home will be back to its original state. If your home has suffered a fire, call a local restoration professional today.